As a company who offer services related to commercial cleaning in Stockport, we have noticed in recent years that our task is getting more and more complicated due to the vast array of electronic devices that are now used daily. It is widely known that electronic objects are dust magnets, and so if you have a laptop, screen, tablet and mobile on your desk you will probably find yourself dealing with dust on an almost daily basis. Despite the difficulties associated with cleaning electronics, it is still a task that needs to be done – whether you choose to tackle it yourself or hand it over to a professional cleaning company like ourselves. Even if you do outsource your office cleaning you won’t get rid of the dusting your electronics element as the key to success with this is to keep on top of it by doing a little bit every day. The huge amount of devices we all use on a daily basis, as well as the fact that we tend to share them between multiple people, means that there a hygiene and health & safety factor that needs to be kept on top of as well. Here is a round-up of our top tips for keeping your office electronics clean, to help you keep on top of bacteria and germs. We’ve broken our advice down by device to make it simpler. Just glance down at your computer now, and take a good look at how dirty it is – computers are top of the list when it comes to attracting dust! This is bad news, not only because it is unhygienic, but also because dust can cause operational issues and breakdowns if you are not careful. However, it is pretty easy to keep on top of dust on your computer: all you need is a can of compressed air and a soft cloth. Giving your computer a quick wipe and blast of air on a daily basis will help you keep on top of the dust, and drastically reduce the risk of issues. It is important to remember, however, that under no circumstances should a damp or wet cloth be used on any part of your PC. If you think about the piece of equipment you use the most on a daily basis at work, then it is probably going to be your keyboard. Not only does this make it a prime candidate for dust collection, but it can also be quite unhygienic as well, as your fingers are touching it all day. These are two of the main reasons why you should give your keyboard a clean on a daily basis, but don’t panic – this isn’t a huge task. All it entails is a quick upside shake of your keyboard at the end of the day, and then a blast of compressed air to root out any stubborn crumbs. It is also a good idea to go over it frequently with an antibacterial wipe to keep on top of any bacteria and germs. In a similar way to a keyboard, the more often you clean your monitor the better, but treat it like your mobile and avoid any dampness near it. It is always best to use products that are specifically designed for monitor cleaning in order to avoid any damage. Welcome to our blog! Here you will see posts from Maid2Maid on topics that we think may interest you. So please watch this space! 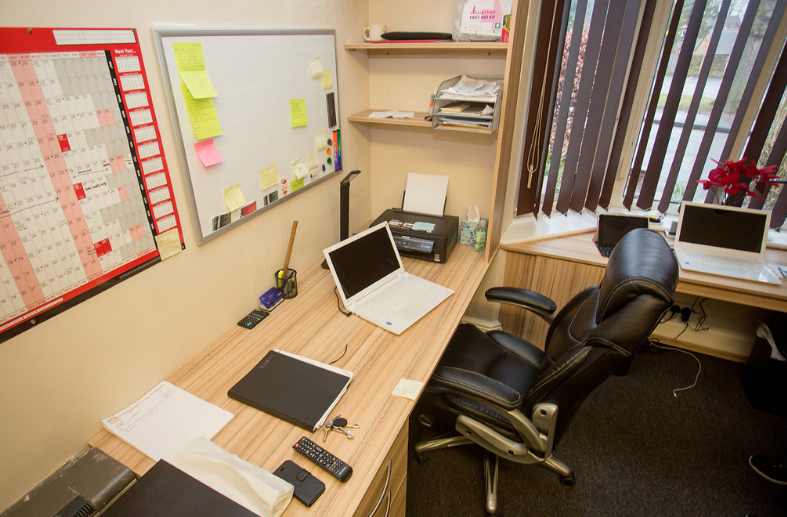 Is After Hours Office Cleaning in Stockport More Beneficial?